I'm back! We had a great weekend at Keith's parents, with lots of crafty inspiration. On Sunday, we visited a craft fair where Keith's grandmother and little sister were selling some of their creations. Tons to see! I didn't buy much since I need to save my money this month, but it was great to walk around and just look at all the beautiful things. The things I did get are this lovely apron made by Keith's grandma, made of a pretty and practical waxed fabric - perfect for my messy baking! 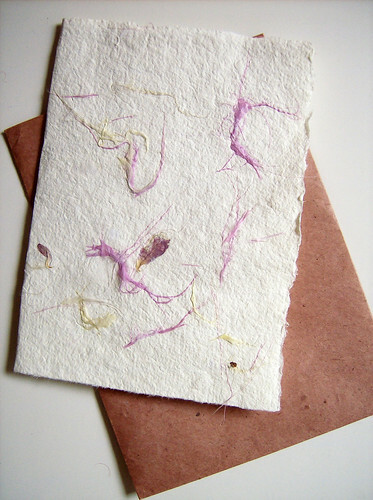 - and a cute handmade card. Oh, and check this out: We drove to the fair IN STYLE! 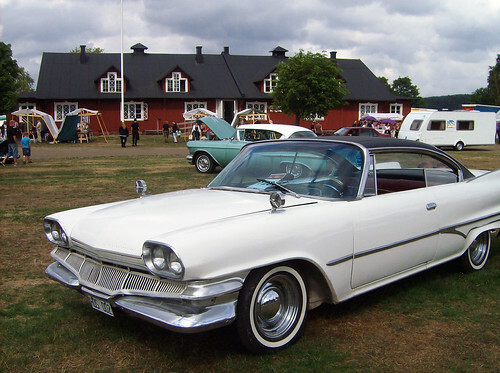 This awesome 1960 Dodge Phoenix belongs to Keith's dad, who is a mechanic and nuts about classic cars. We had so much fun riding with the windows down and singing rock'n'roll tunes! 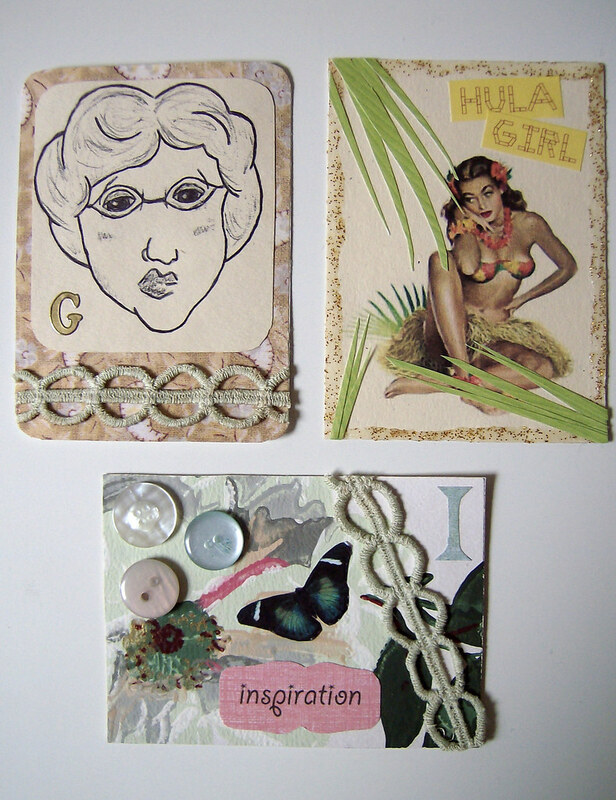 Oh, and since they have all been received now, here are my latest Artist Trading Cards, made for the Alphabet ATC swap at Craftster. I'm really proud of them. What do you think? Your trading cards are great and I love the baby booties! My niece is three months old, maybe I will have to give that pattern a try. Also-I love blue, both of my girls wore blue as babies. Hej Karin! Nu är jag tillbaks i stan och vill gärna ses. Kan du ringa eller messa, för jag tappade mobilen på Bali men har skaffat en ny (samma nummer) så jag har inte ditt nummer kvar. Det vore mysigt att crafta lite tillsammans! Kram! 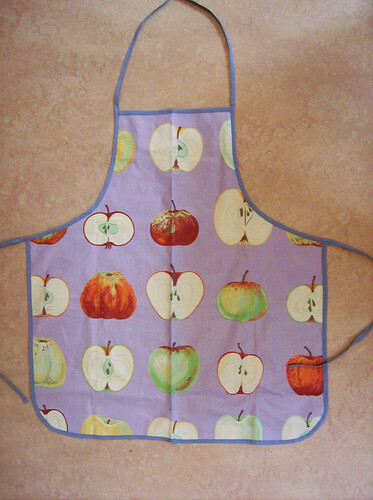 I love the apron, as well as everything else! 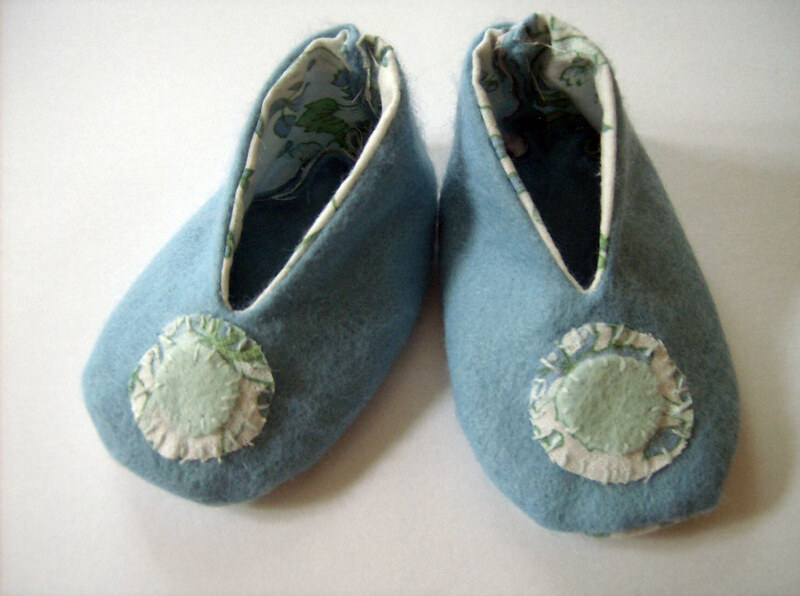 Love those baby booties - they are really cute - especially with the applique! How great that keiths family share your love of craft. The Crafters Companion Book looks great.